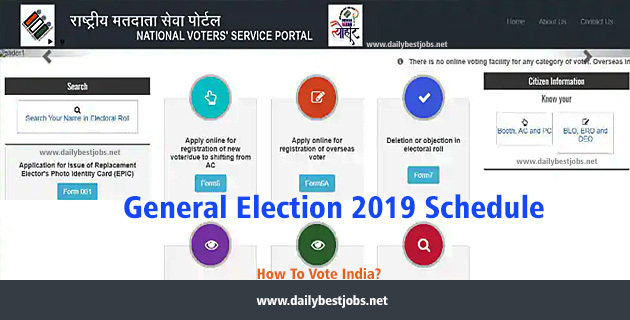 Indian Election 2019 Voting Polling Booth - How To Vote India? Indian Election 2019, Biggest Election Today With Voting Poll Booths & How To Vote India? 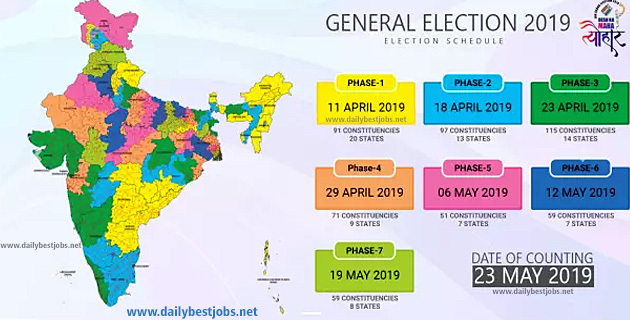 The Indian General Election 2019 starting from today, 11 April to 19 May 2019. Many want to know How to vote India? You can vote only if your name appears in the Voter List which also known as Electoral Roll. All voters can also search their information on Polling Booths, Election Dates, Contesting Candidates, Election Timings, Identity cards & EVM. There are 900 million voters & over a million polling booths are available in the history of the election. This is the biggest voting election time having 29 states and 7 union territories. India is completely ready to host a large democratic event begins today on April 11. So, we are here tell about Voting Process at Polling Booth & How to vote India. The voting for a new parliament will be continued till May 19 & the results will be announced on May 23. While PM Narendra Modi looks for a second term, competitor, including Indian National Congress president Mr. Rahul Gandhi will desire to replace him. For this Indian General Election 2019, Election Commission Of India set up biggest voting polling booths in India. Hope you are like to know all about Indian Election 2019 Voting Polling Booth & How To Vote India. Subscribe your email id to get more updates on Indian General Election 2019 and like our Facebook page for instant updates.